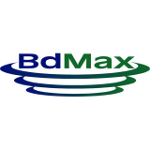 BdMax are specialists in biological agriculture. We have a variety of natural solutions designed to improve quality and yield. From orchards, such as apple, kiwifruit, or avocado, through to farms and market gardens, BdMax have a range of organic sprays that address a multitude of specific agricultural issues. The BdMax approach is unique. All products are BioGro certified and support soil and plant production naturally. BdMax sprays create natural changes to plant growth, without any impact to the surrounding environment. Etherics Seaweed brings balance and nutrition to soil and plants. PhotoMax naturally stimulates photosynthesis to promote growth in low light conditions, as verified by HortResearch. ThermoMax protects against frost by producing an internal warming effect, and improves fruit set in cold conditions, while BirdScare helps to reduce bird damage on most fruit crops. SilicaMax brings strength and hardiness to plants and is useful in wet and drought conditions. Contact BdMax today for a tailored solution for your agricultural requirements. Freephone 0800 735859 or call (06) 877 3324. I'll definitely be using it annually from now on.